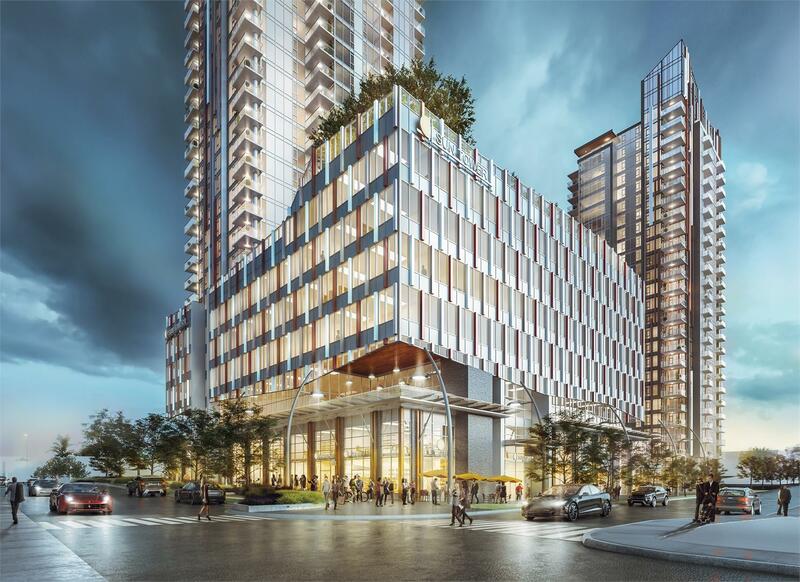 Belford Properties’ newest condominium development in Burnaby’s Metrotown, Sun Towers, will offer elevated living and close connection to urban amenities. Tower one of the two-tower development features 285 luxury condos with one-, two- and three-bedroom options. Representing a new level in Metrotown luxury living, Sun Towers exudes cosmopolitan sophistication and stands taller than any other tower on Beresford Street. 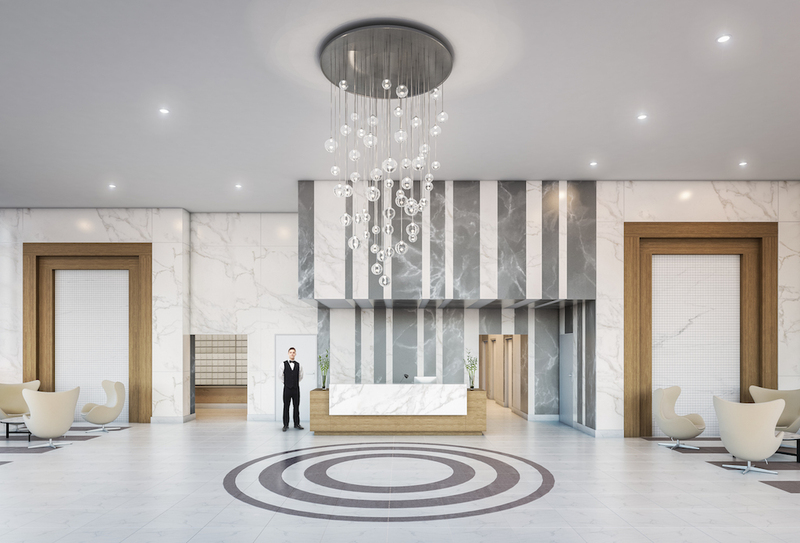 Upon entering the lavish development, residents will be greeted by a professional Concierge Service, which is modelled after high-end resorts, treating residents like VIPs. Inside, the suites boast stunning kitchens featuring German-made Nobilia cabinetry, quartz countertops and marble backsplash, integrated appliances and gas cooktops. Residents can unwind in the spacious bedrooms, which include closets with custom built organizers. The lavish bathrooms boast oversized, Carerra marble inspired tile with beautiful frameless showers, floating vanities and stylish faucets. With Metrotown’s elevated topography, Sun Tower residents will have stunning views of the Lower Mainland from their condo balcony. When not enjoying the comforts of their home, residents can visit Sun Towers’ exclusive Solaris Club. 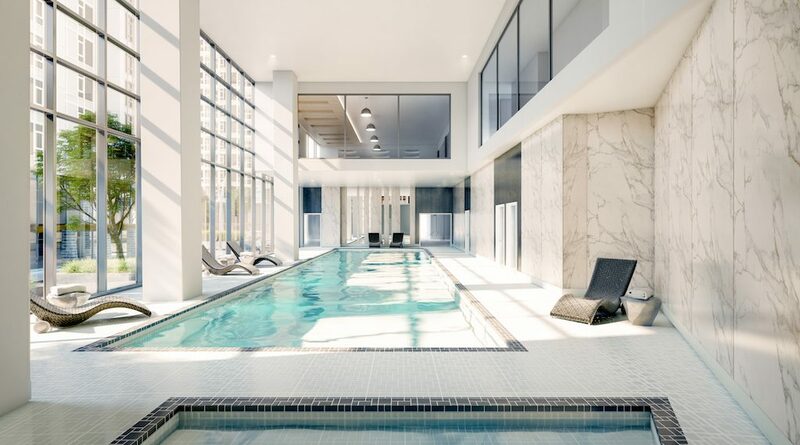 Residents will have complimentary membership to enjoy the club’s features, including a 60-foot pool, hot tub, steam room, badminton court, indoor virtual golf, a music room and a member’s lounge. Perfect for children and entertaining guests, the club also has a 6,700 square foot Sky Garden, which has a children’s play area, outdoor kitchen, ping-pong and a fire pit. In addition to Sun Towers’ unmatched amenities, planned events and programs will be available for residents, such as games nights, movie nights, wine-tastings and barbecues. Sun Towers also provides third party service arrangements, including housekeeping, handyman services, personal trainers, private chefs and pet care. Located in a prime location, Metrotown is a popular urban hub with plenty of nearby recreational activities. A variety of green spaces are within close proximity, such as Central Park, Deer Lake Park and Burnaby Lake Park, where residents can enjoy swimming, boating, horseback riding and tennis, among others. Along with a close connection to nature, residents can easily access a wide array of restaurants, shops, entertainment and hotels. BC’s largest shopping centre, Metropolis Mall, is across the street, and for commuters, the Metrotown Skytrain is less than 40 meters away. Sun Towers offers an elevated lifestyle in the heart of Metrotown. To receive more information, click here to register for the latest updates. For more information call 604 336 0899, email info@suntowersmetrotown.com or visit the website.